Alrighty, final update I suppose until maybe I break something and have to fix it all. 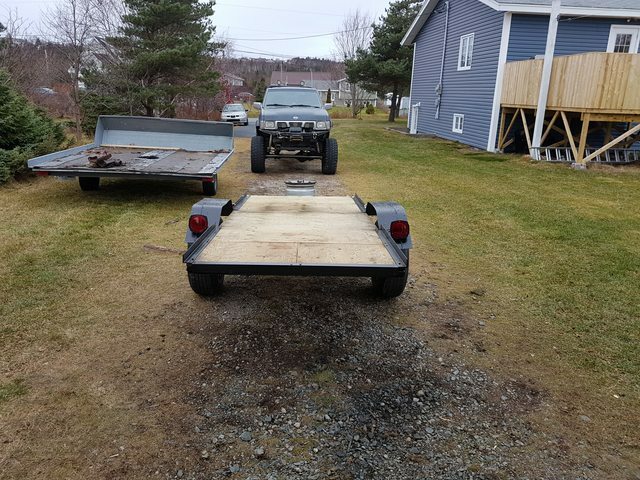 I picked up some angle iron to finish off the trailer, I think it adds a finished look and will hopefully keep me from driving the quad or snowmobile off the edge. The truck is all wired for trailer lights and working well, added a few grounding straps on the truck and trailer to hopefully keep everything working well. The only thing I may add later is a snow shield up front to keep road salt off of what i'm towing and maybe some rubber or plastic runners for grip when loading. The angle iron cost me $40 cash, and maybe a few bucks for a can of spray paint. 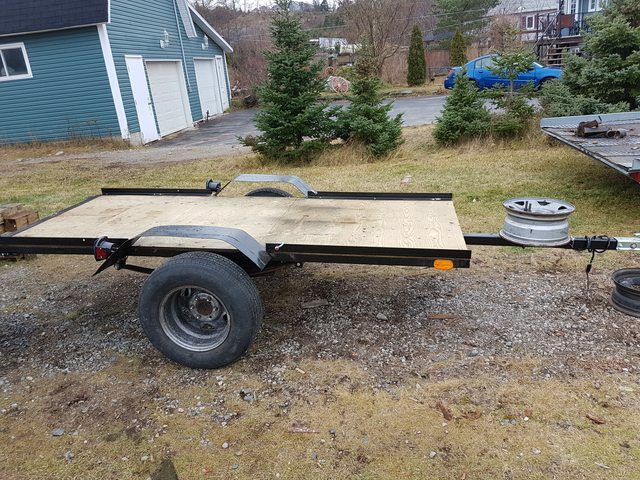 In total i'm into this full trailer for less than $350. I suppose now it's time to load the thing up and go play in the woods. Come onnnn winter! It's pressure treated lumber, shouldn't need to be painted. I'll keep an eye out for some used rubber floor mat's or something to lay down for grip. 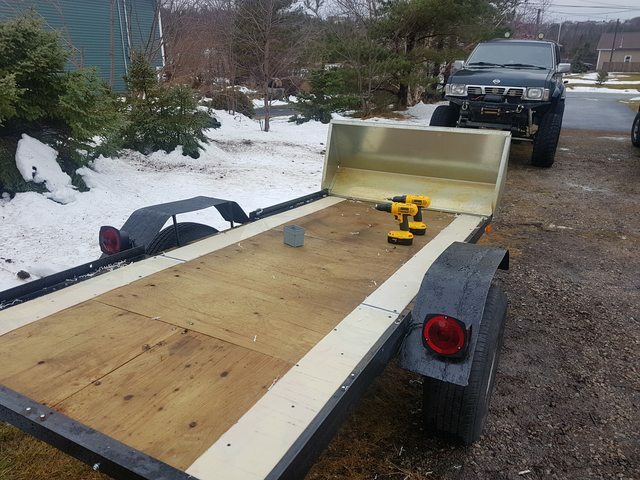 update, bought a snow shield and ran some teflon strips up the sides for the sled ski's to ride on.